Location: North of Boston, Ma. Maybe BCspeed34 has some close up profile pics for you. That's exactly what I needed to see! The new plinth has a larger base that significantly covers the painted portion. The original plinth mounted at two points. I just noticed you have cars on the opposite sides of the spectrum. Nice mud car. Does anyone know how the Lotus Elise Sport has the plinth painted? Is it a metallic black, flat black, matte black? Does the paint match the windshield surround? Elise Sport or Cup R? 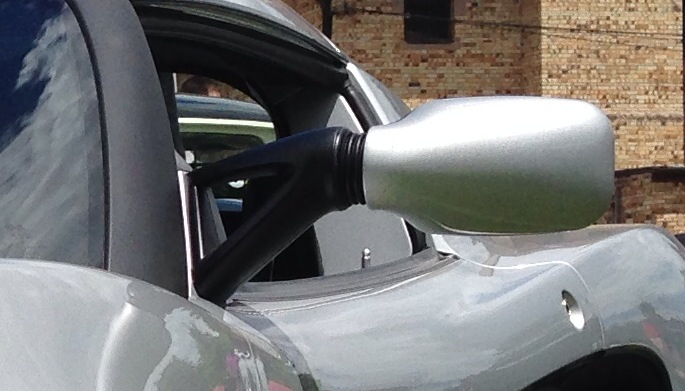 I posted pictures earlier in this thread of an Elise Cup R. I believe the plinths on the Sport are body colored. 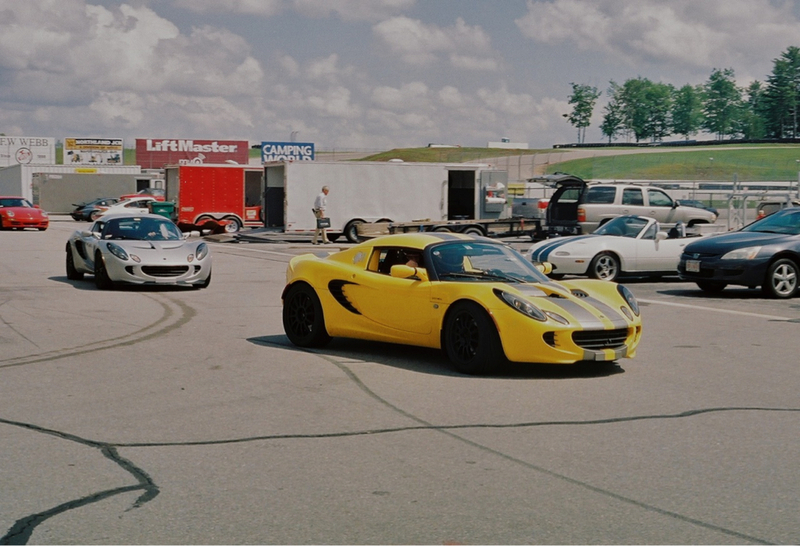 Friends Sport Elise at a track day. I still had my stock plinths at the time. Body colored plinths with matte black mirror housings. The white car in this thread did it right: black plinth, body colored housing. Is DeRoure the way to go for purchase? My experience with LotusGarage hasn't been great, seeing how I never received what I ordered. Is DeRoure with their GBP pricing going to deliver in a timely manner? Let's just say I'm using DeRoure for my future purchases. Took only a couple weeks to get my stuff and the shipping price was reasonable. Thats compared to several months from the "other" place. You guys have caused some kind of run! DeRoure is already out of LH Mirror Plinths! Unfortunately no supply date yet. Their selling like hot cakes!! Oh damn I'm stuck with the lower bolt. It seems I need the 2.5 allen key wich I don't have here, grrrrrrrrrr. The ones you find in hardware stores arournd me, are all too short too! BTW, I found it easier to remove the mirror plinth while keeping the screws in place by way of small magnets on the exterior of the car, which held the screws in place. This prevented the screws from falling into the door. I just placed the T handle Allen's back into the screws. Wish I had taken a picture to illustrate what I did. I didn't see those on the parts diagram. I would think it's just going to look a bit tattered after a while. I honestly don't notice it that much, but it looks pretty simple to DIY with a piece of vinyl or Plasti Dip. Nice closeup. Do you have a shot from the front? How'd you decide on black plinths over body colored?